Energize your outreach participants, audiences, staff, board, and even musicians by deepening their understanding with a fun-to-use program for exploring the music of the Western classical tradition and more. MITA Is for Presenting Organizations! How Can My Organization Benefit from MITA? Send a string quartet to a public school or senior home to explore one of classical music’s most time-tested strategies. As a prelude to a live performance, use MITA’s Eventful Story and Deep Glossary—replete with musical examples—to define sonata form and its inner workings; trace its origins in literature, and discuss why the word “form” is so problematic. 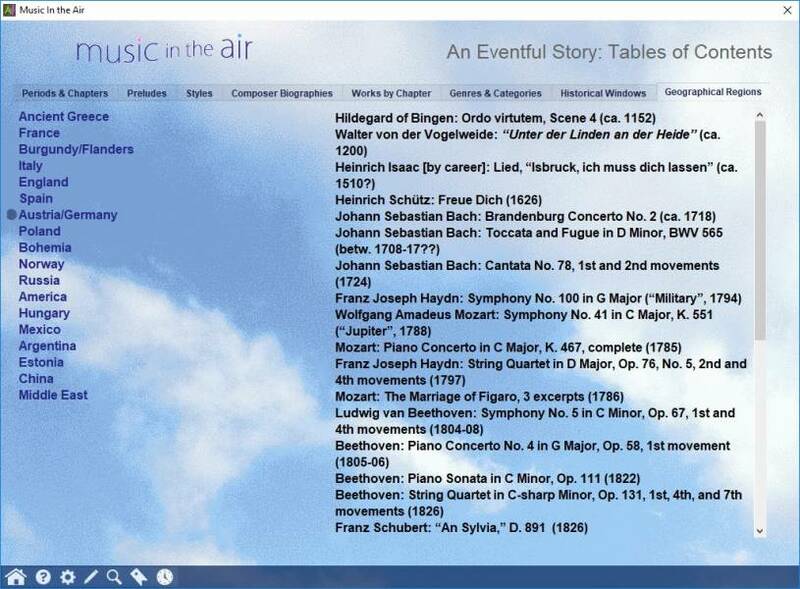 Choose from among more than two dozen fully annotated examples in MITA (several from string quartets); invite participants to come forward and run the program to hear for themselves. This sound-based discussion (not a lecture!) opens the door for the performers to explain how sonata form was not some kind of recipe but rather a flexible means for creating a dramatic narrative. Their live performance will now live in a richer and more memorable context. Most of your participants will have at least heard of him, but how much do they really know? Explore Beethoven’s troubled childhood, onset of deafness, and his status as the model for the modern hero. Use MITA for compelling visuals of Beethoven throughout his life and sound excerpts illustrating how his style evolved. How much was Beethoven’s music shaped by his life experiences? What was Beethoven’s influence on composers that came after him? Take an in-depth look at one or more of MITA’s eight symphonic, concerto, solo piano, and quartet works by Beethoven. 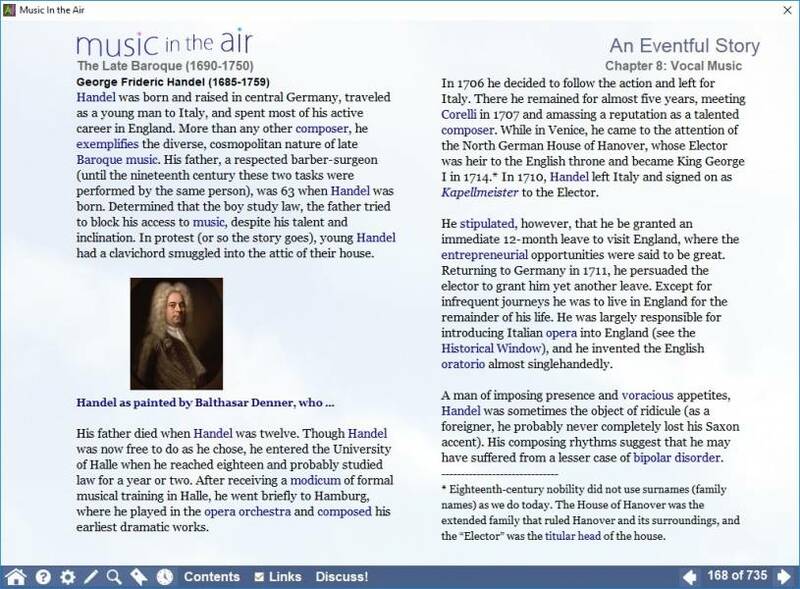 Use the Interactive Scores to explore how he achieved some of his most recognizable moments (such as the opening or the development to the Fifth Symphony). Use a Listening Guide (the final movement of the String Quartet in C-sharp minor, perhaps?) to reveal how Beethoven inserted drama into a work. Then present a live piano trio, string quartet, or other chamber work by Beethoven, inviting participants to talk about what they hear. Let’s take opera as an example (though MITA features legendary orchestras, conductors, chamber groups, and early music ensembles as well). What was so unforgettable about Pavarotti and Joan Sutherland? Listen to them perform Rigoletto side-by-side, supported by the London Symphony Orchestra. What decisions do they make that shape their understanding of Verdi’s score and Piave’s libretto? Use the Listening Guide to introduce novices to creative tactics used by Verdi to maximize the sense of tragedy. Head over to the Interactive Score to explore in more detail the performance directions that performers work with as they make their decisions. What is the ideal balance of power between singers, conductors, and orchestras? View the Weblink videos to examine the further roles played by directors as well as lighting, costume and set designers. As much as you want to get out into the community and to advocate for music, long-term outreach activities involving continued contact with participants over a period of time can be financially prohibitive. Awarding outreach participants with a MITA subscription for a year, or even for a month, is a cost-effective way of maintaining participants’ interest in your music beyond the initial contact. We will work with you on discounts for bulk subscription purchases that fit your budget. Consider sending participants weekly emails with “assignments” that follow a custom learning template that you can use and develop year after year. Send quizzes with concert tickets as prizes. MITA can be used with outreach participants ages 6-96, and there are countless ways to mold MITA to your specific outreach goals. If you are stumped or want to bounce ideas off of someone, just contact us. Our team is here to help. Rare is the staff or board where everyone feels secure in their level of knowledge. MITA’s multi-layered approach, which welcomes novices and challenges experts, offers a means of filling in gaps with maximum efficiency, enjoyment, and long-term benefit. Bone up on the many contexts in which the music you program was written, whether by time period or for specific styles or works. Strengthen your sense of connection between individual programs and their relevance to today’s world. Identify hooks about the works and styles of the season that your public would find interesting, converting potential audience members into attendees. 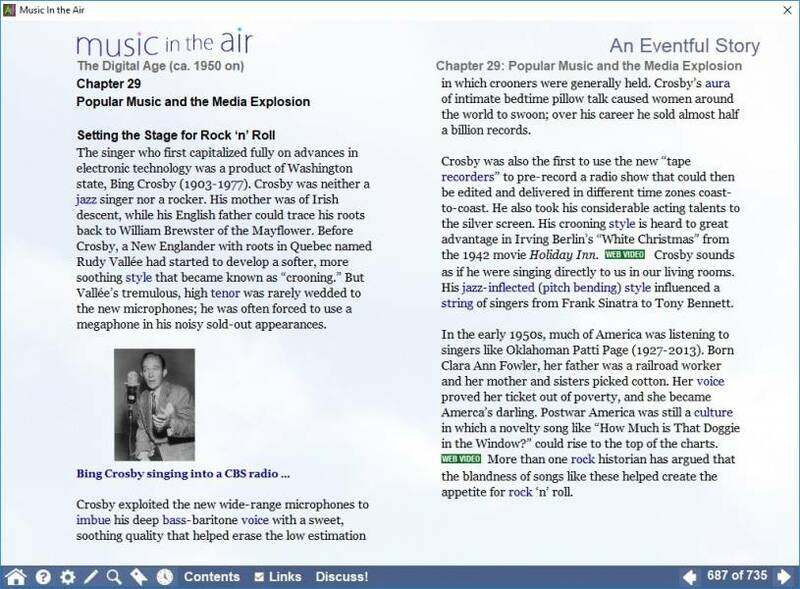 Maintain an integrated resource for music history, theory, and performance—including scores and recordings—for use by musicians, staff, and audience members. Use MITA as a sounding reference source for new ideas. Increasingly, musicians are expected to be articulate ambassadors for what they do on stage. Some have had their education overshadowed by time in the practice room. Boards increasingly count on a core of ensemble leaders to help bring in new audiences. MITA is tailor-made for performers who want to up their game quickly and keep it there. 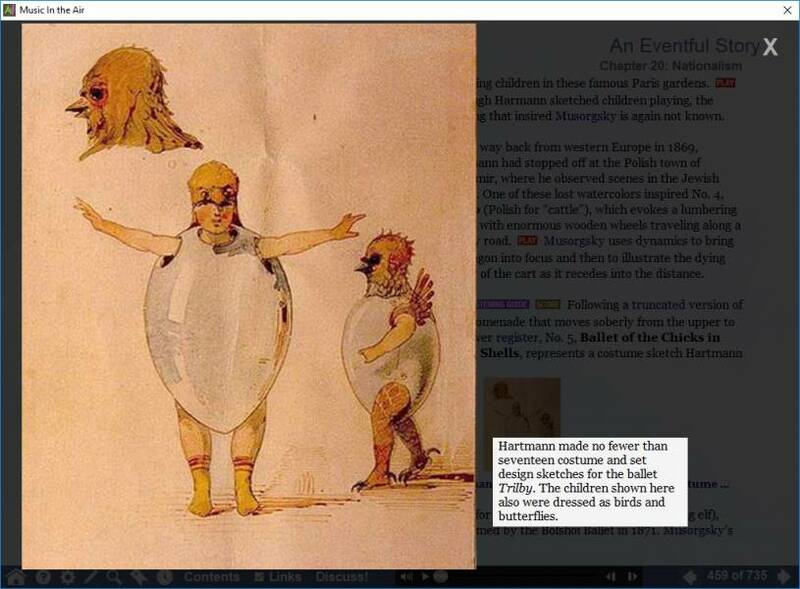 An enlarged image related to Mussorgsky's "Pictures at an Exhibition"
Written by award-winning UCLA Distinguished Professor of Music Robert Winter. Make sense of music’s stories by learning about their rich cultural contexts, tied to everyday experiences (like baseball!). Explore the rich story of the orchestra’s development, from Corelli (b. 1653) to John Adams (b. 1947) and beyond. Alongside Western orchestral music, MITA also covers choral music, opera, popular music, and a growing collection of global musics, the latter through intimate video encounters with gifted performers. 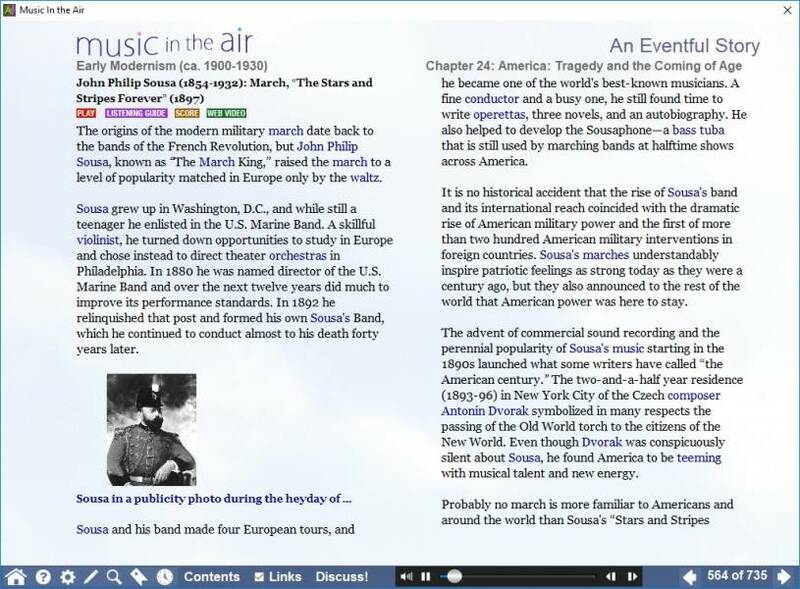 Jump seamlessly back and forth between An Eventful Story, Listening Guides, and Interactive Scores, with an unparalleled Deep Glossary available from every screen. Find what you are looking for through the lenses that most apply to you, including chronology, composer, genre, geography, and more. Clicking on in-text thumbnails brings up hundreds of full-screen images and full captions—perfect for use in informal or formal presentations. Bouncing blocks take listeners of all levels through each section of every piece. To hear any location (“Closing area,” for example), simply click on it, and voila. MITA teems with performances by world-class artists, from the Berlin Philharmonic to the Takacs Quartet, from Dame Joan Sutherland to Sir Georg Solti. For vocal works, the Listening Guides include both the original language and custom “sense” English translations (rather than misleading “singing” translations). MITA’s Listening Guides include detailed background and full commentary. 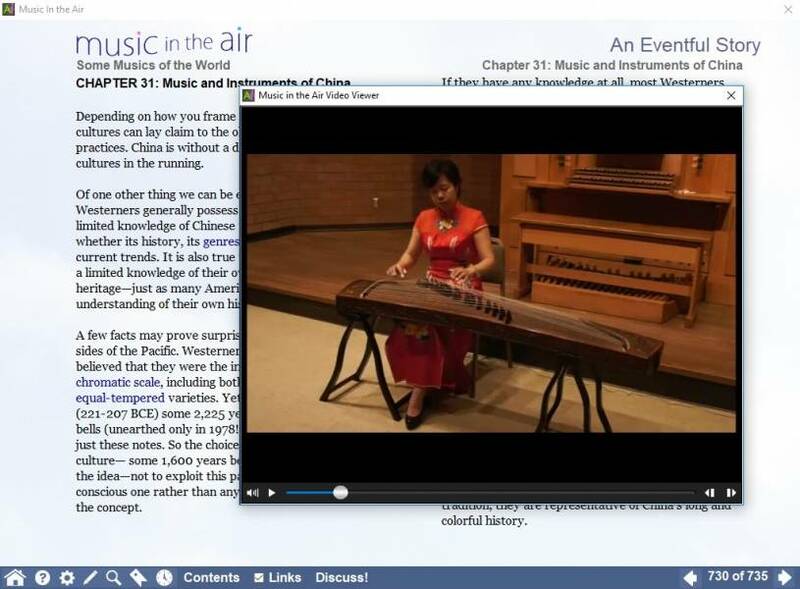 Most Guides include two levels: Level 1 assumes no prior musical training, while Level 2 challenges more advanced listeners to connect what they hear to musical ideas and language they already know. As the music plays continuously, MITA’s interactive bouncing blocks guide novices and experts alike through each bar. Stop and start from wherever you choose. Each score opens with a detailed overview. Clicking on any location in the overview takes you instantly to that location in the Score and starts playing; shift+click starts anywhere in the music while staying on the overview. Easily readable red text points out the most salient features on each page. Musical terms are linked to their Deep Glossary entries. 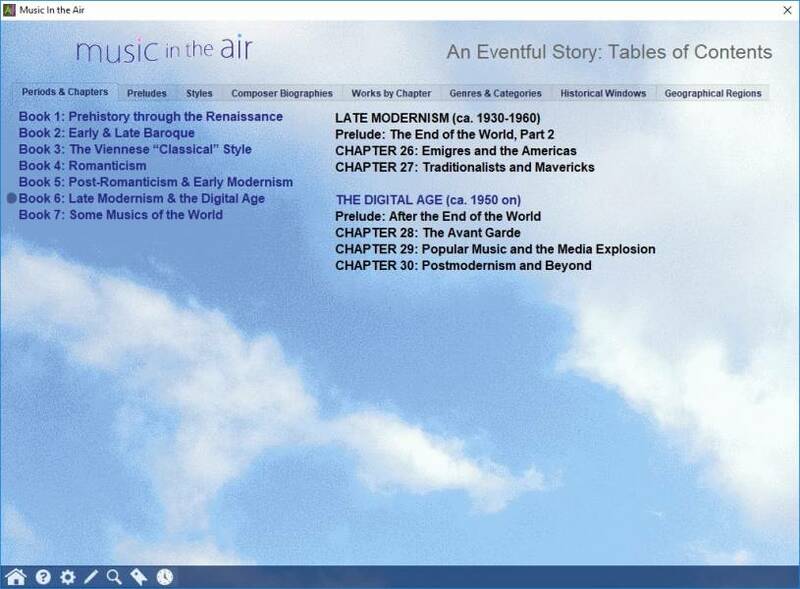 Clicking “More” on the bottom of many pages delves even deeper into what the music reveals. Go through a score page by page, jump to a specific page number, or click on “Go To” to play from a specific moment in the piece (“Coda,” for example). Want to just silently read or listen to a score on your own? With a single click turn off the commentary and bouncing blocks and have at it. Don't just read definitions: hear and see them! In-text “Play” buttons illustrate written concepts. Hundreds of textual pop-ups tell you exactly what you are hearing. An alphabetical index is supplemented by the Musical Languages Guide, which builds knowledge step-by-step, from the most basic concepts (“music”) to the most advanced (“modified strophic form” or “disability studies”). Terms found in each definition are themselves linked to their own definitions (with an easy retrace), and works referenced are linked back to An Eventful Story. Straightforward definitions for over 1000 challenging non-musical English words. Every word includes an audio pronunciation. Not sure between the free MITA Sampler and a MITA Subscription free trial? Check out this nifty comparison. Contact us to coordinate bulk license purchases of subscriptions for use with your outreach leaders and participants, season subscribers, donors, staff, board, musicians, and beyond. We’ll also work with you to offer exclusive discounts that appeal to your public.